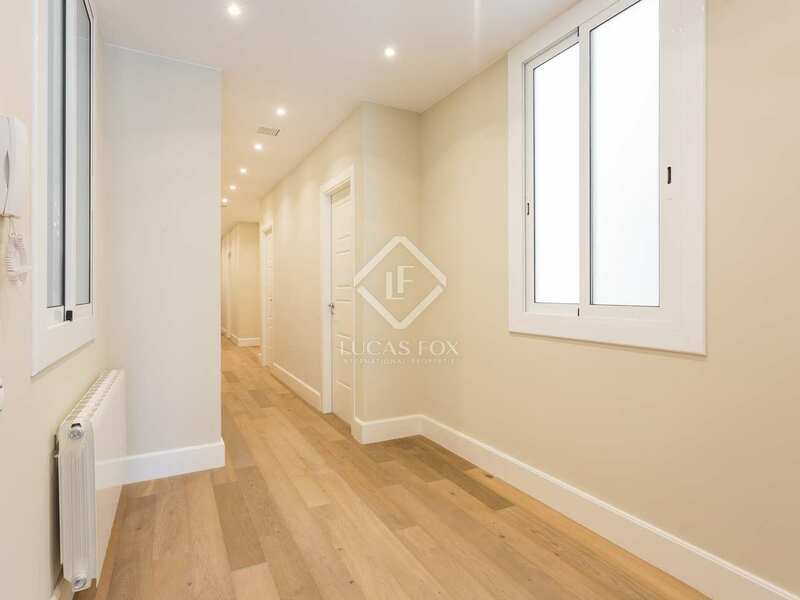 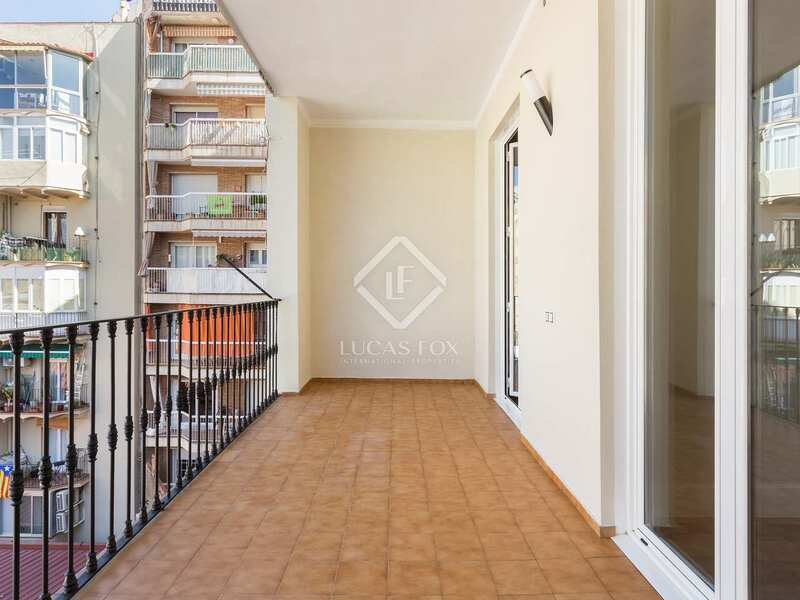 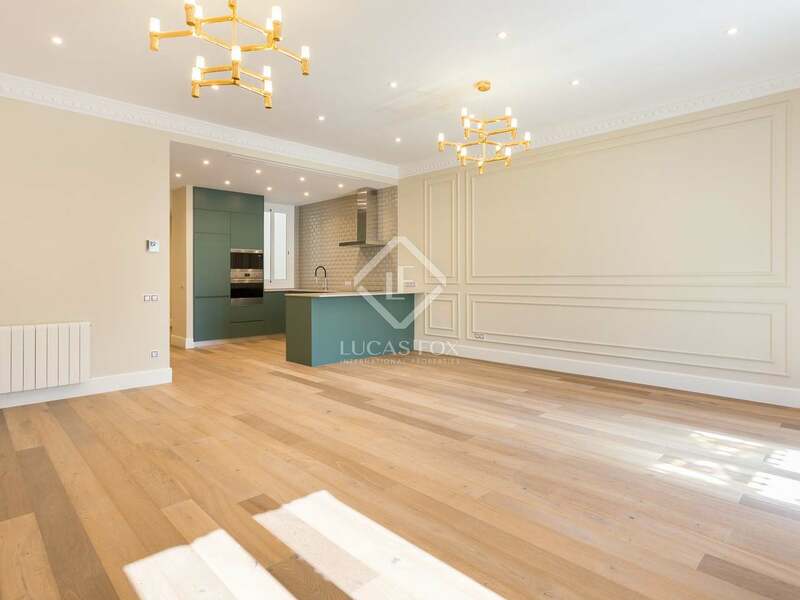 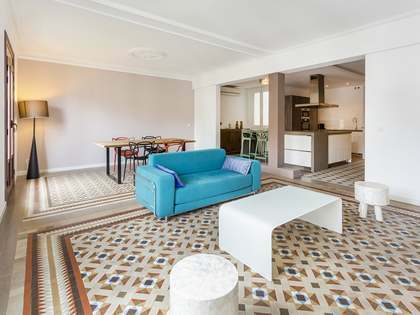 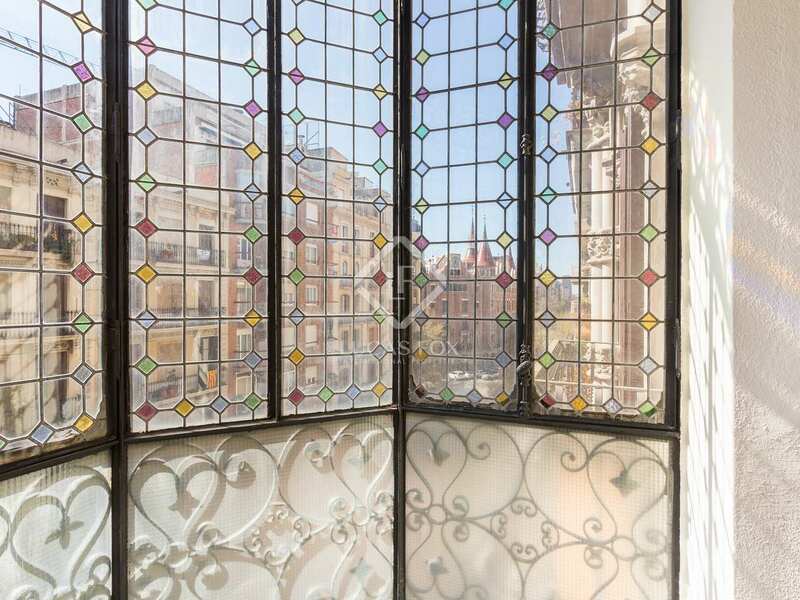 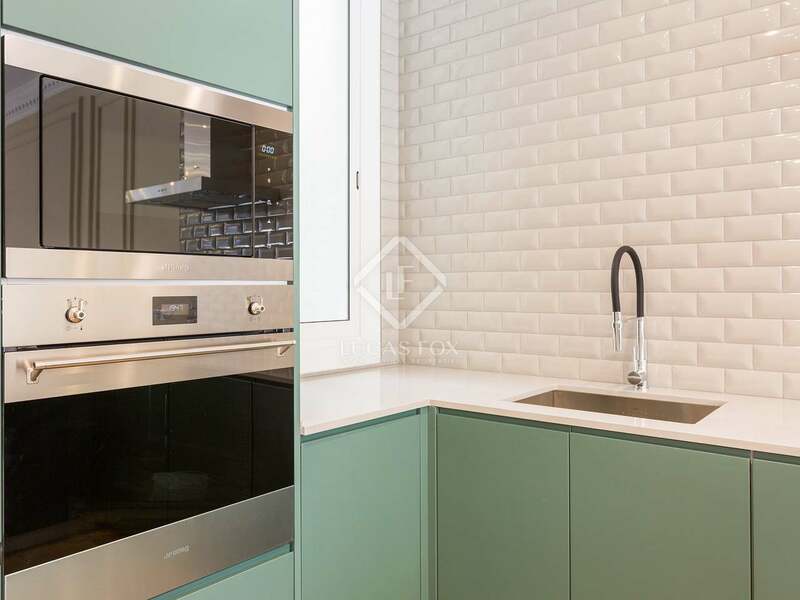 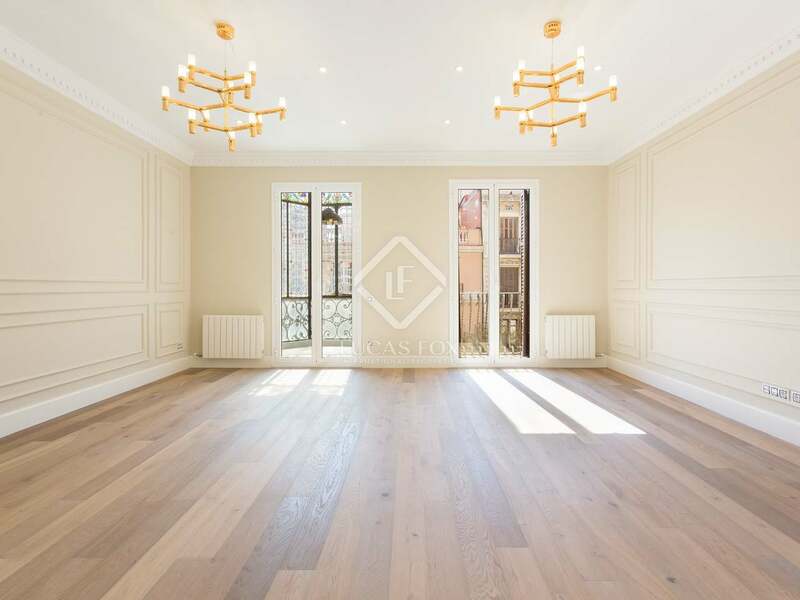 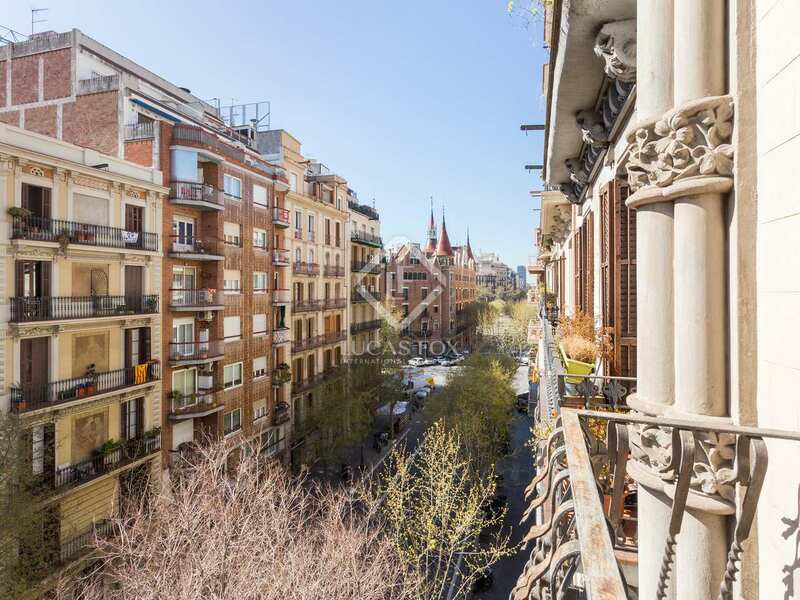 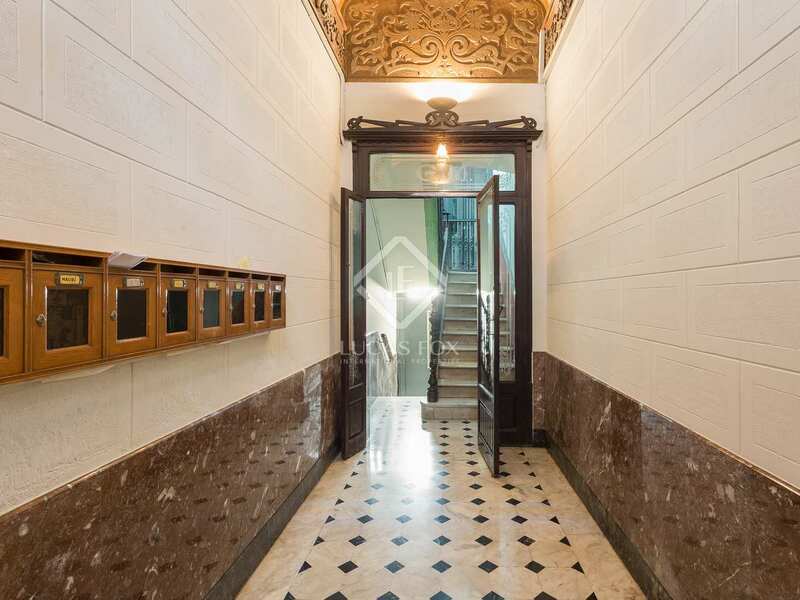 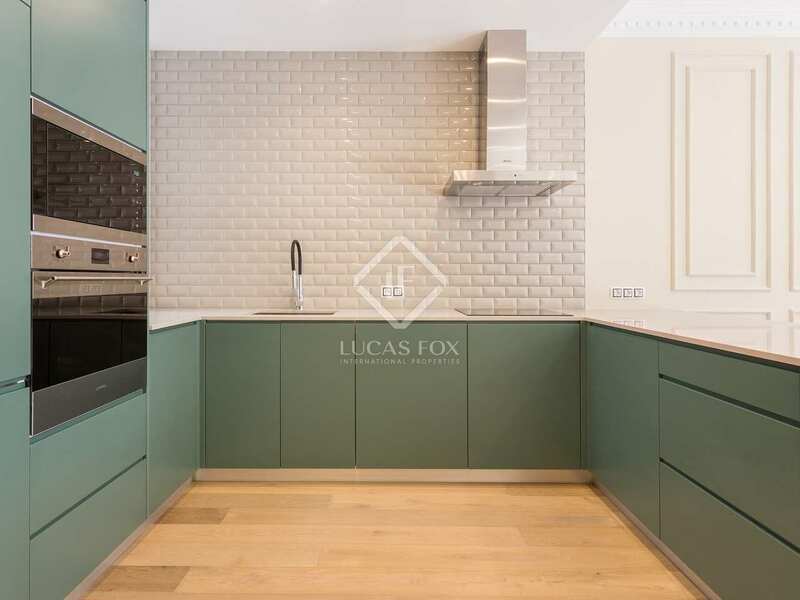 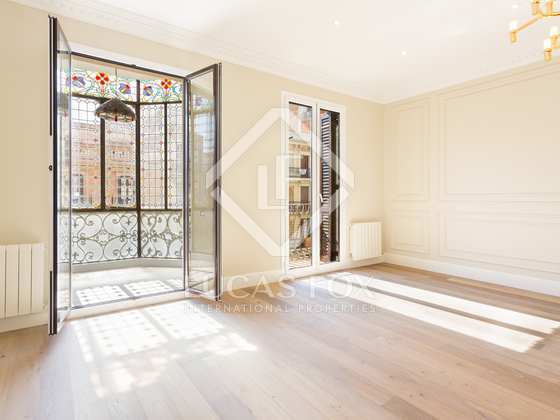 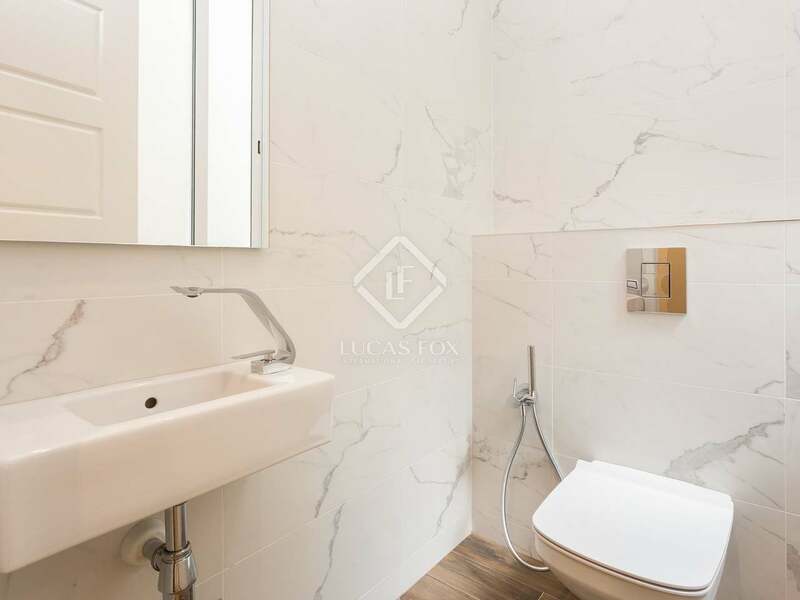 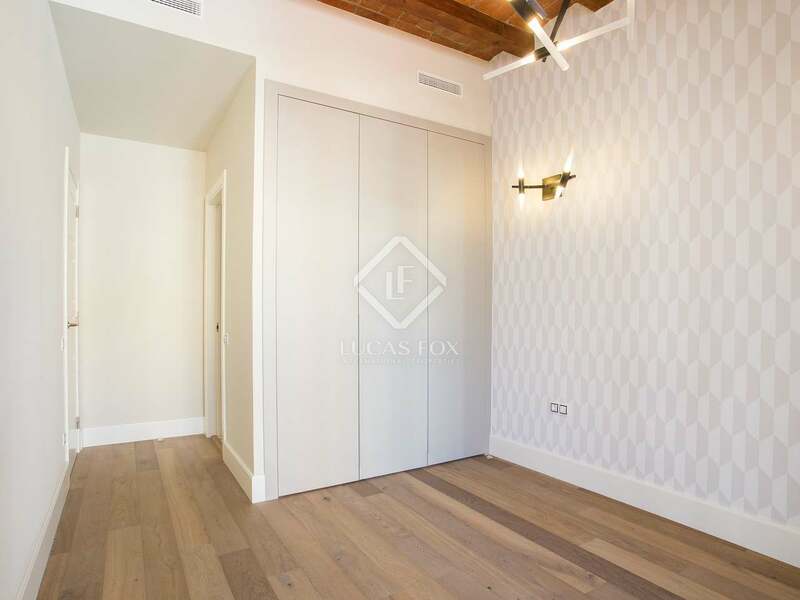 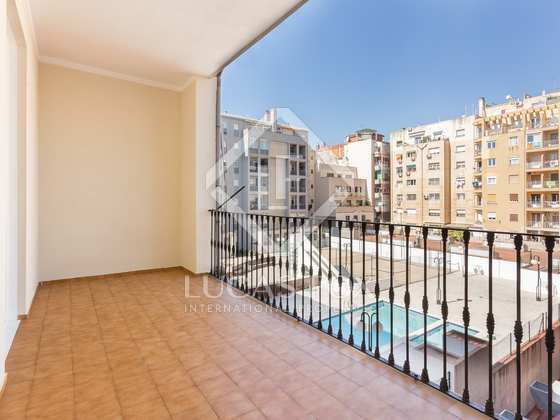 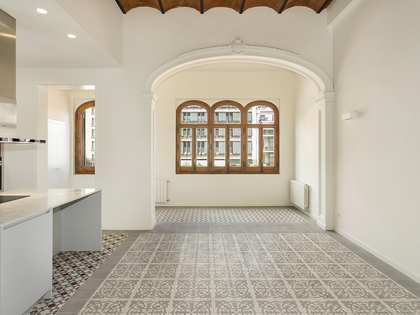 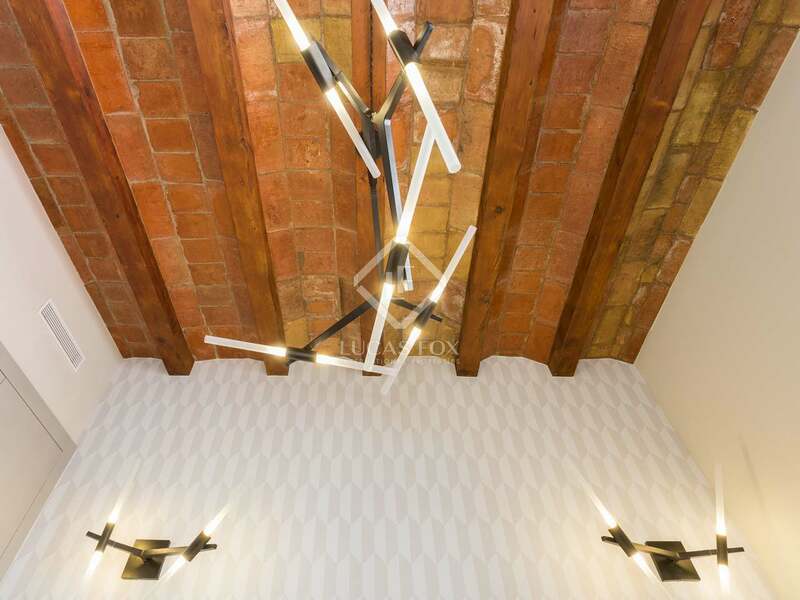 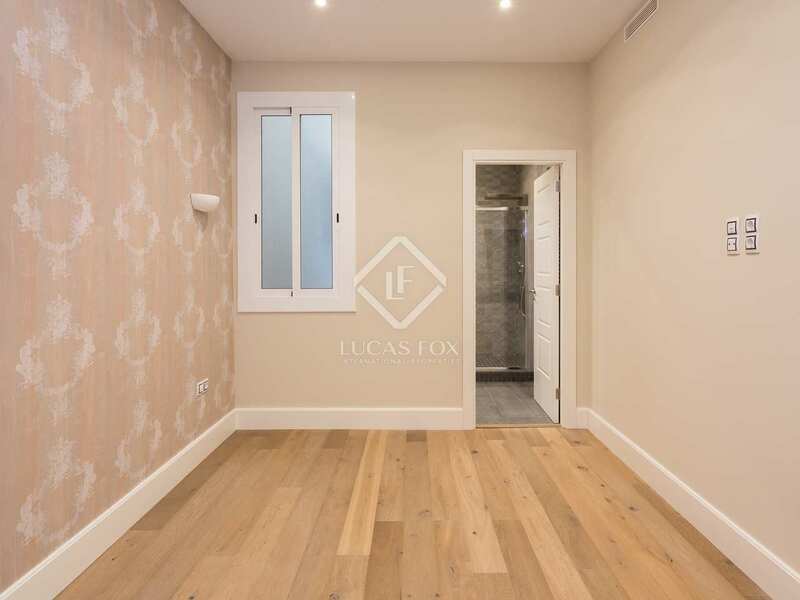 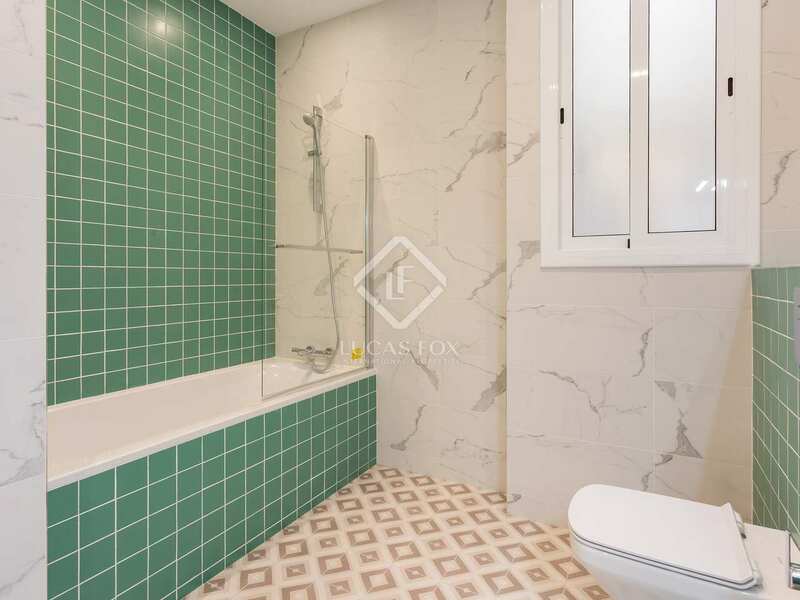 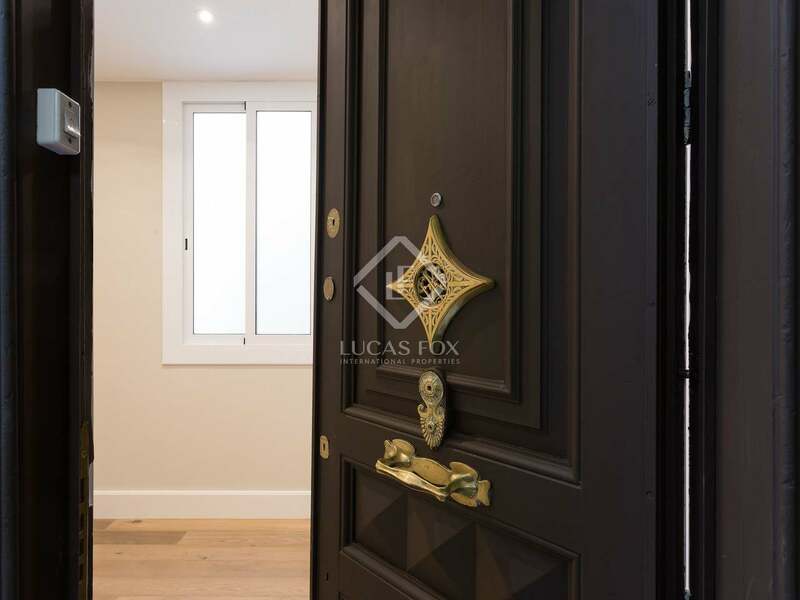 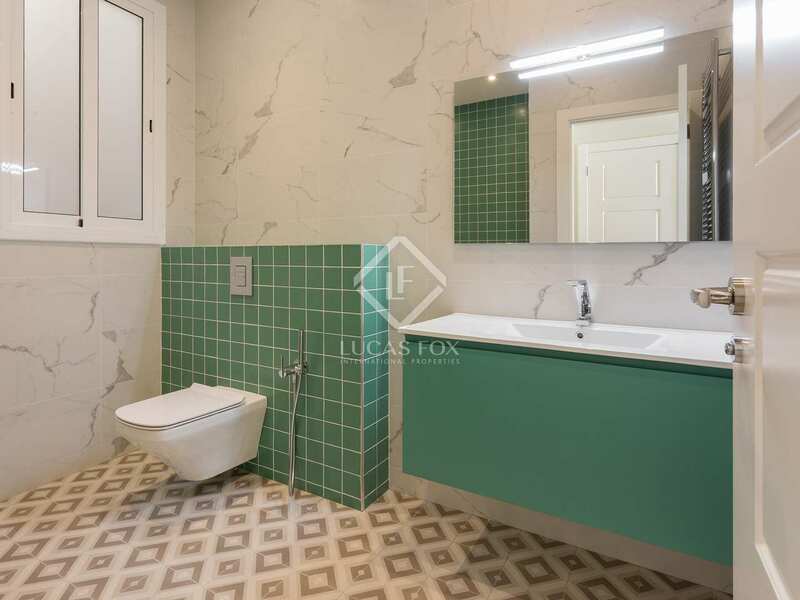 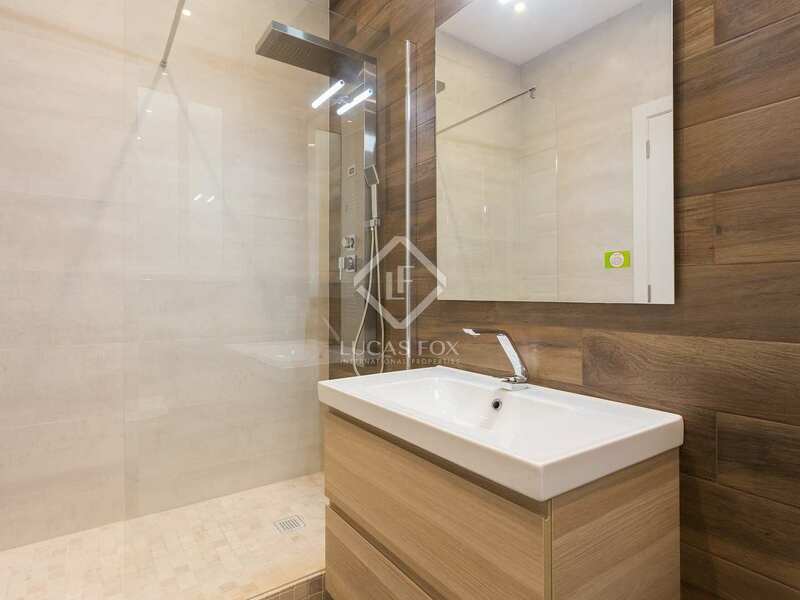 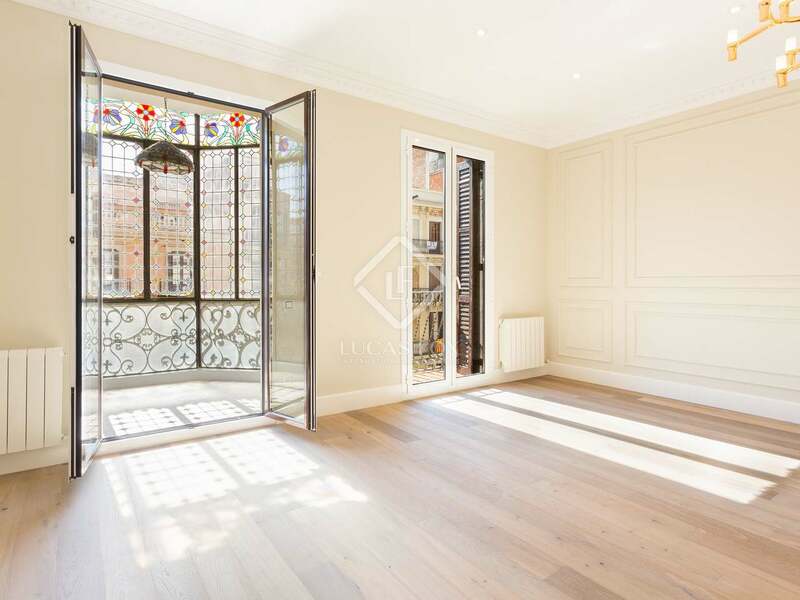 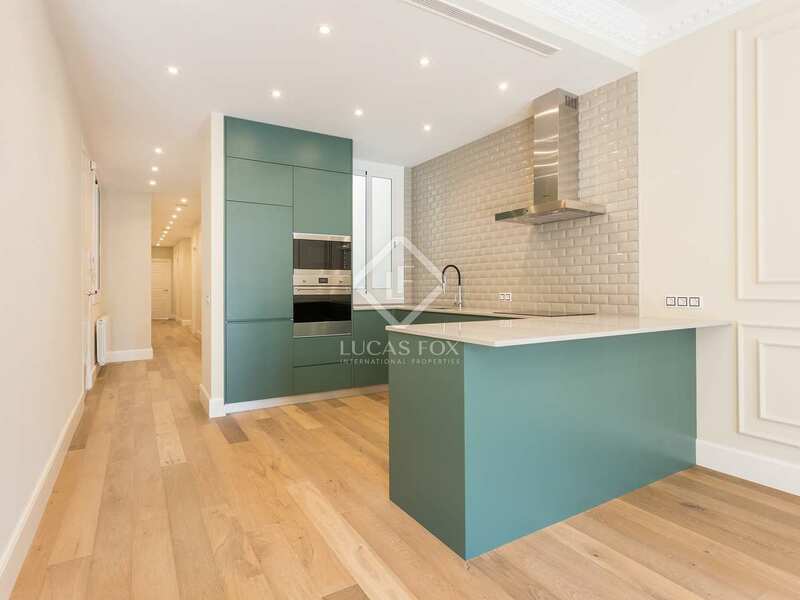 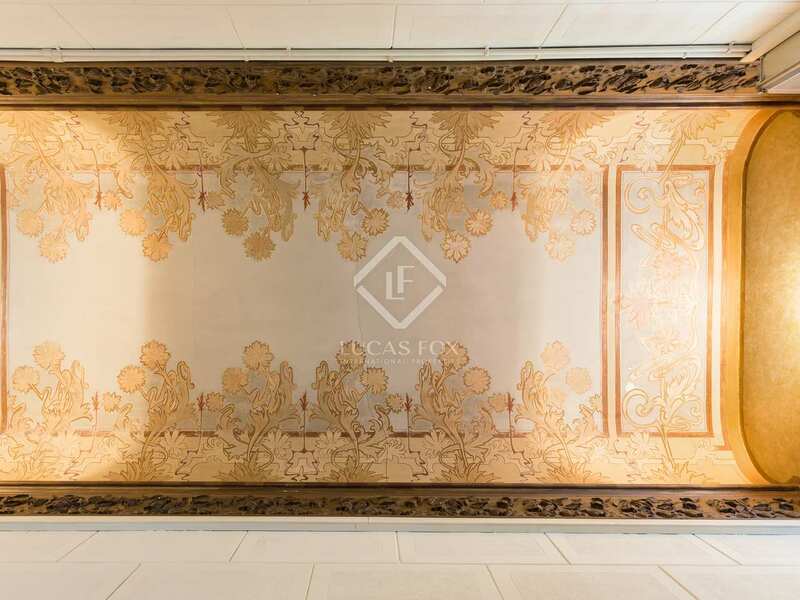 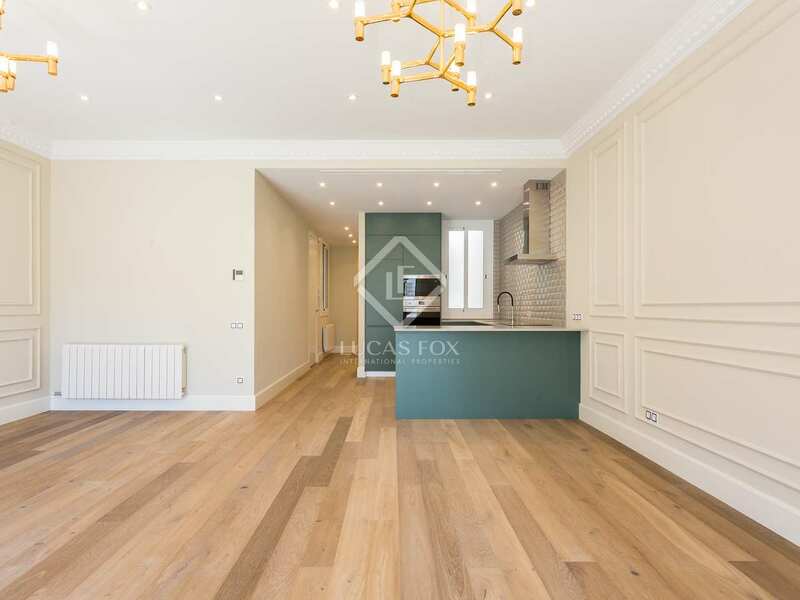 Impressive renovated apartment in a beautiful Modernista building with an exceptional façade and entrance in Eixample right, near Diagonal and Passeig de Gracia. 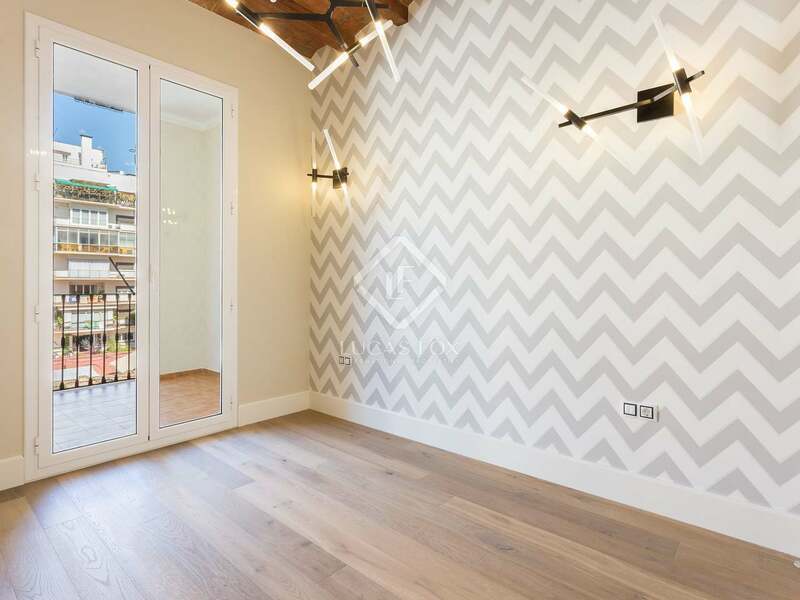 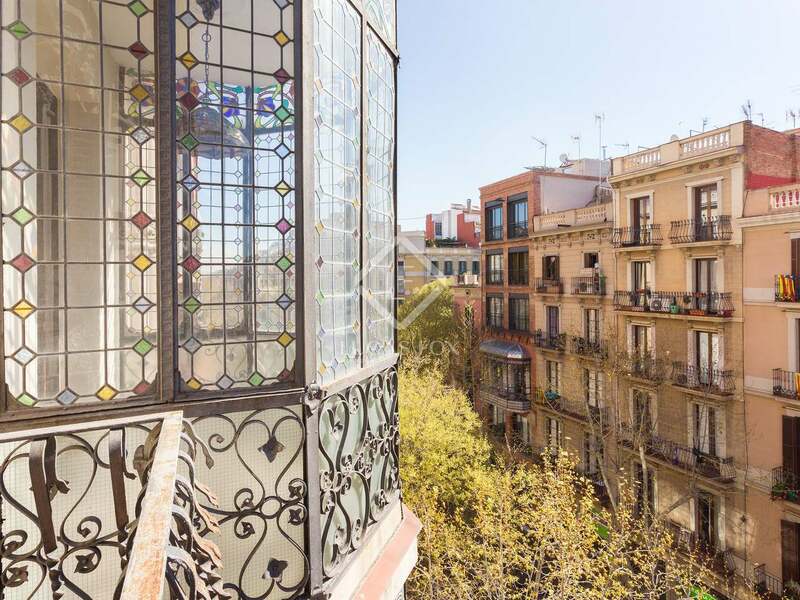 We find this impeccably renovated property of 178 m² with a 12 m² terrace on a high floor of a beautiful period building at the heart of Eixample Right, in a prime Barcelona City location. 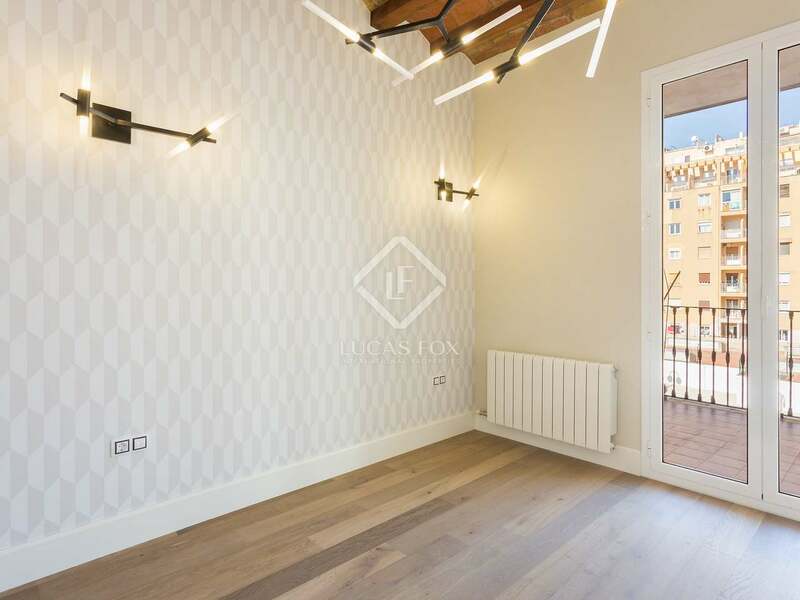 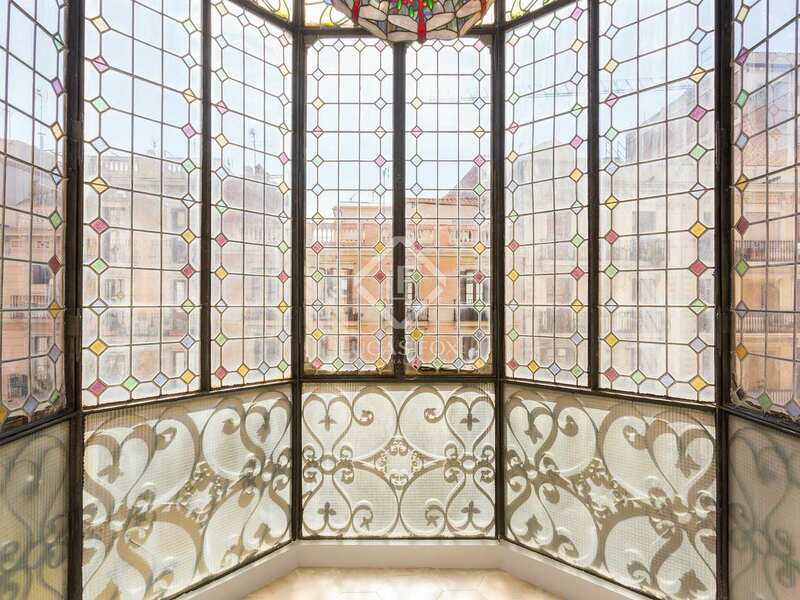 The layout offers a vast living and dining space with wooden floors, ceiling mouldings, a balcony overlooking the street, as well as a gorgeous "tribuna", a glazed bay seating area with colourful stained glass panes. 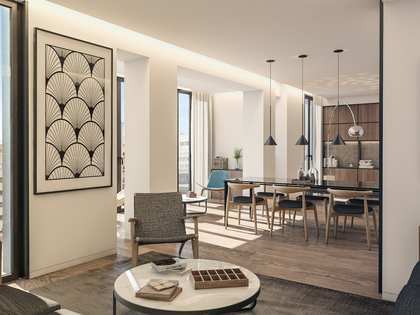 This living area is truly magnificent and is constantly bathed in natural light thanks to the apartment's location on a high floor of the building and the floor-to-ceiling windows. 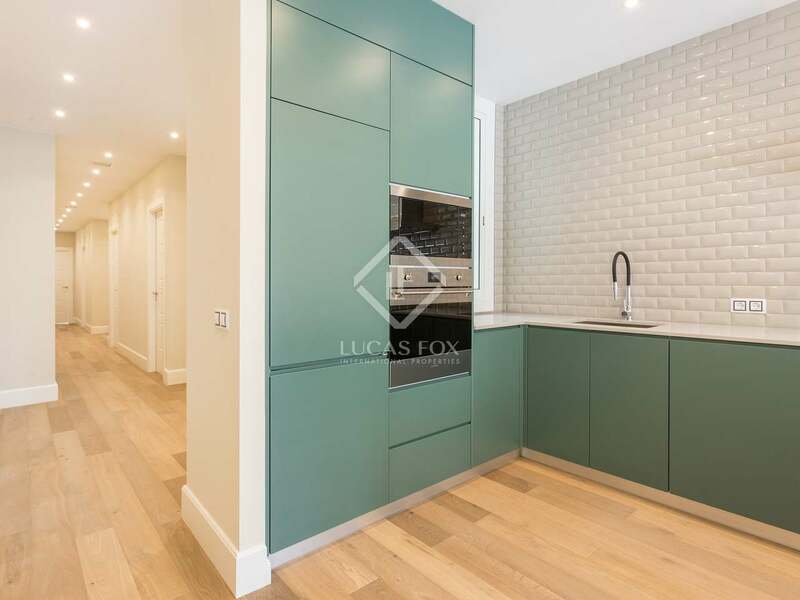 At the opposite end of the living room, we find the brand new open kitchen with elegant cabinetry. 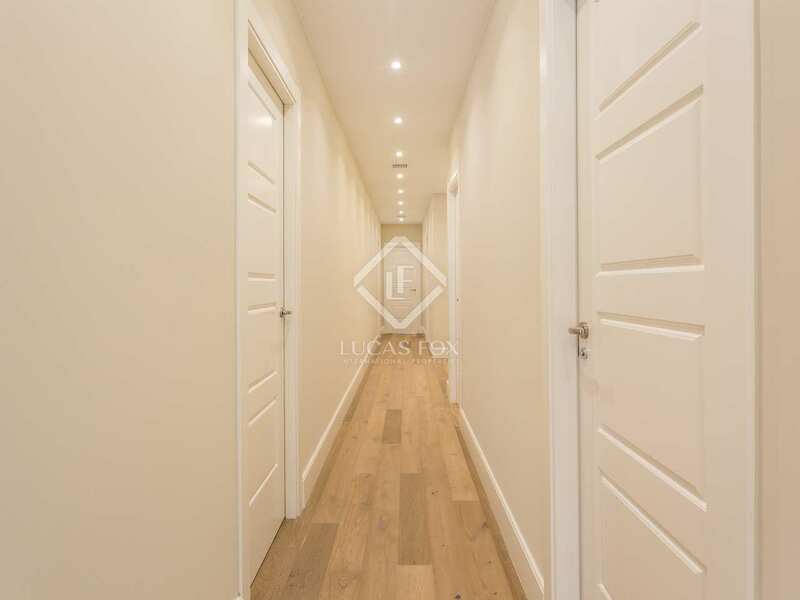 A long, well lit corridor takes us to the guest toilet, the utility room and the 3 double bedrooms, 2 of which have en-suite bathrooms and 1 of which has a separate bathroom. 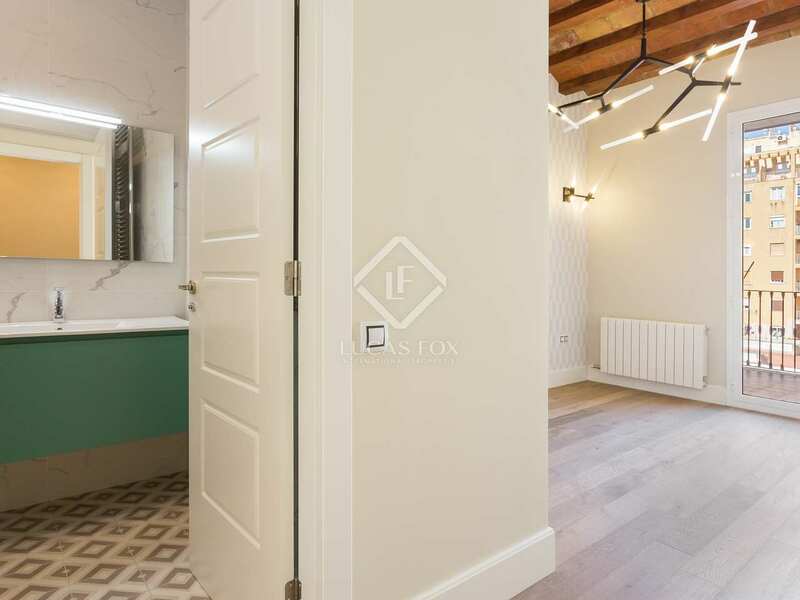 The 2 en-suite bedrooms also have traditional Catalan vaulted ceilings and enjoy direct access to the large terrace which overlooks the peaceful interior patio. 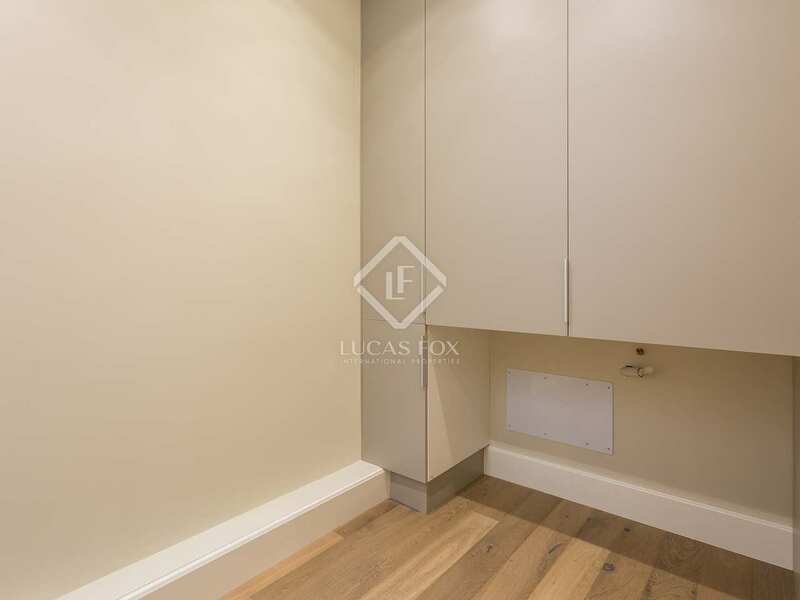 All of the rooms have fitted wardrobes and in the hallway we have another cupboard for additional storage space. 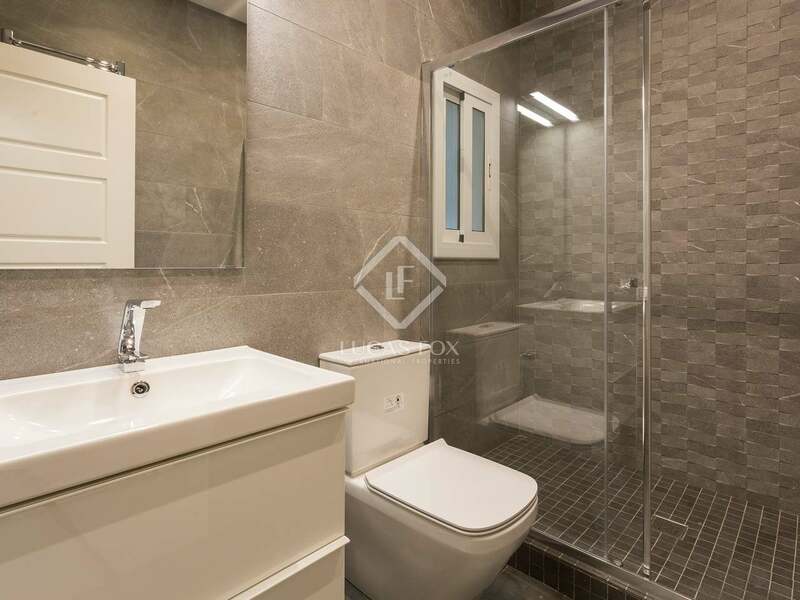 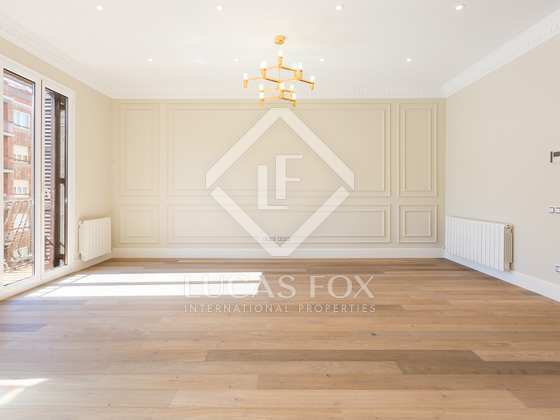 Details such as the heating, air conditioning, double glazing, designer light fittings and excellent quality flooring and sanitary ware, complete this perfectly renovated home in the city centre. 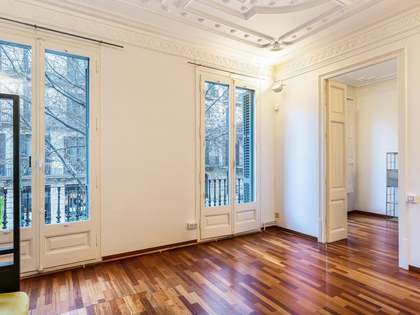 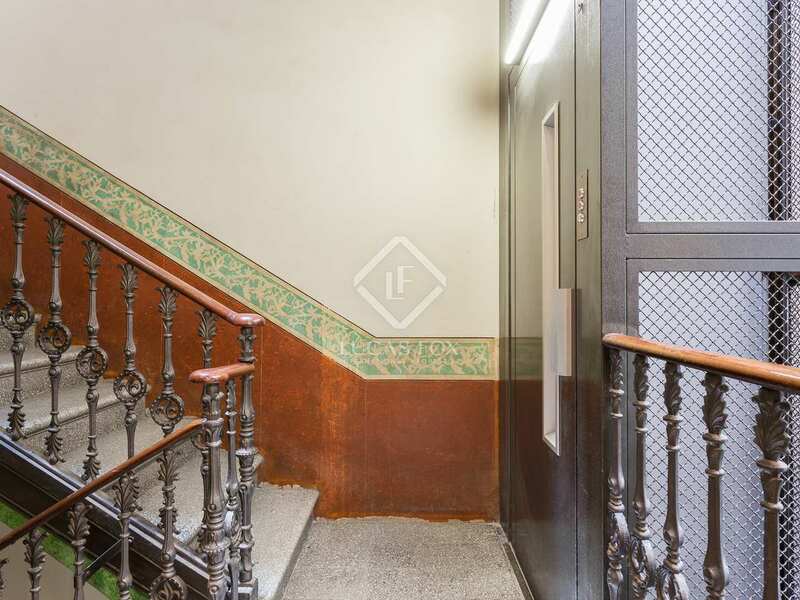 This excellent apartment is found in an impressive period building in Eixample right, near Diagonal and Passeig de Gracia. 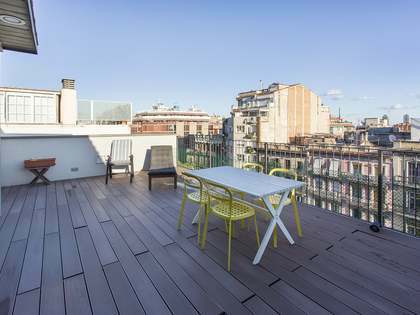 This is a prime city location with all of Barcelona's services and leisure options on the doorstep.